Lease the new 2019 Mercedes-Benz GLC 300 4MATIC SUV starting from $629/month*. Get 3 payments waived ! Book your test drive today. Selling Price for a new 2019 Mercedes-Benz GLC 300 4MATIC SUV is $49,204. Total price includes freight/PDI of up to $2,895, air-conditioning levy of $100 and duty on new tires of $15. Applicable taxes due at signing. * Limited time lease offer provided through Mercedes-Benz Financial Services on approved credit for a limited time. 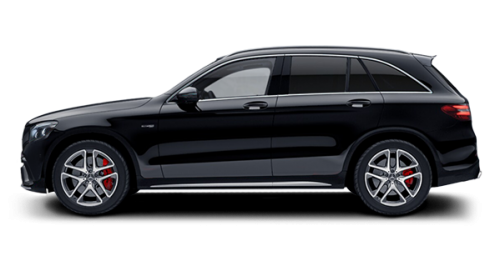 Representative lease examples based on a 2019 Mercedes-Benz GLC 300 4MATIC SUV: 3.99% APR for 45 months. Monthly payment is $629 with $1,350 down payment or equivalent trade-in. First monthly payment and $600 security deposit due at signing. Taxes, license, insurance and registration extra. 18,000 km/year allowance ($0.20/km for excess kilometers applies). 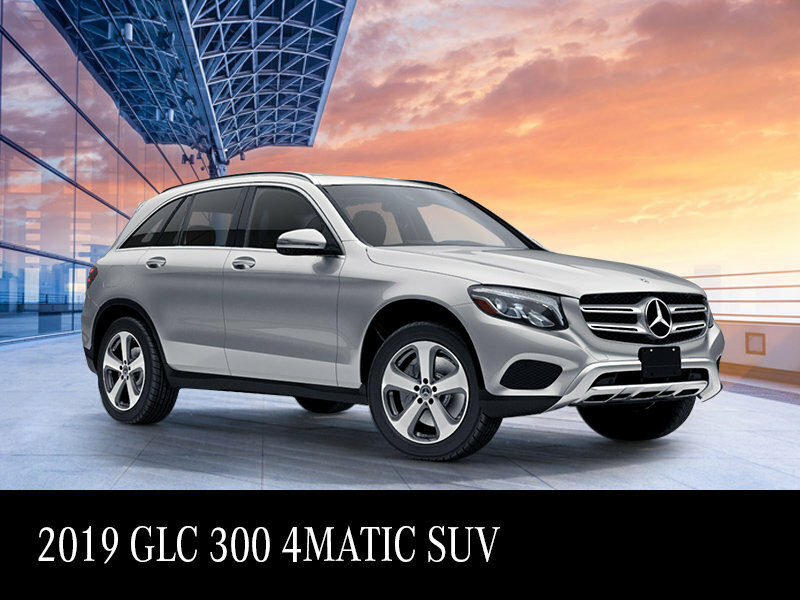 **The «3 month payments waived» offer is only available to qualified retail customers on approved credit who lease and take delivery of select 2019 Mercedes-Benz GLC 300 4MATIC SUV models through Mercedes-Benz Financial Services (MBFS) between April 1st and 30th, 2019. Silver Star Montreal will waive the first 3 monthly lease payments, up to $550 per month (inclusive of taxes) and for eligible leases. Customer is responsible for any and all amounts in excess of the above monthly maximum amounts (inclusive of taxes). After the first three (3) months, customers will be required to make all remaining regularly scheduled payments over the remaining term of the contract. No cash value. Certain conditions apply. Offers may change without notice and cannot be combined with any other offers. Dealer may sell or lease for less. See Silver Star Montreal for details. Offers end April 30th, 2019.